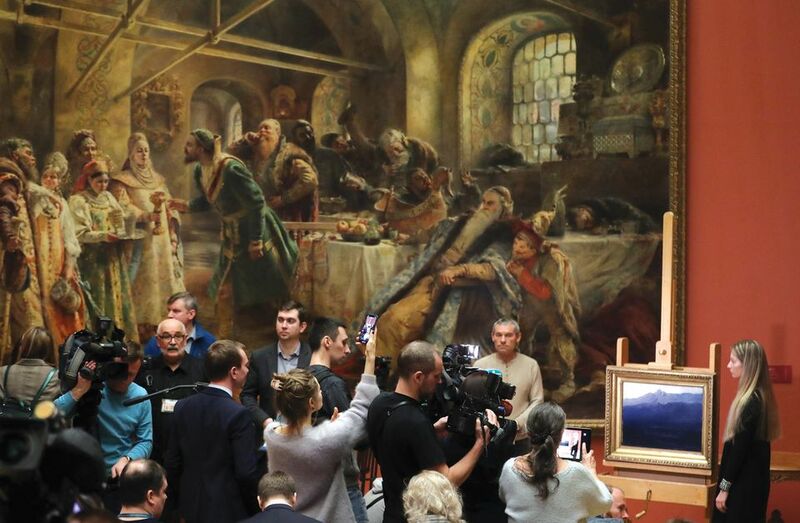 More than two million people visited the Tretyakov in 2018, according to the museum, which makes the exhibition numbers especially striking. By comparison, the Louvre’s record-breaking Delacroix show last year attracted almost 540,000 visitors, a much smaller proportion of the total 10.2 million visitors to the museum in 2018. The Tretyakov sells separate tickets for temporary exhibitions, making it easier to track attendance, as does the Pushkin State Museum of Fine Arts in Moscow. A touring show of the billionaire Thomas Kaplan’s Leiden Collection of Dutch Old Masters at the Pushkin attracted 275,000 visitors from March to July 2018. It travelled to the State Hermitage Museum in St Petersburg, where it was seen by more than 1.15 million people between September 2018 and January this year, including 97,000 in the last two weeks. “This madness started in 2015 with Serov,” says Tatyana Yudenkova, the head of the Tretyakov’s department of late 19th and early 20th-century painting. A 2015-16 exhibition of portraits by Valentin Serov, a fin-de-siecle artist, drew nearly 500,000 people, many of whom braved sub-zero temperatures to queue, and even beat down the museum’s doors. Yudenkova says this can be partly attributed to the museum “actively promoting itself on the market”, with blockbuster exhibitions being the selling point. She believes “the frenzy is connected primarily with Russian realist artists of the second half of the 19th century”. After the Kuindzhi theft and a vandal’s attack last May at the Tretyakov on an 1885 painting by Ilya Repin of Ivan the Terrible cradling his murdered son, the museum’s director Zelfira Tregulova and other officials have warned of the dangers of growing aggression in society. The Tretyakov has ramped up security for its current Repin retrospective (until 18 August), installing individual alarms for all of the works. Marina Loshak, the Pushkin’s director, says that unpredictable behaviour is a universal phenomenon and museums need to be prepared to deal with it. “These are lessons for all of us that we are trying to absorb, and we are training our staff in every possible way,” she says. But misfortune can sometimes bring opportunities. When the Tretyakov returned Kuindzhi’s stolen painting to its permanent home at the State Russian Museum in March, the St Petersburg museum immediately displayed the now notorious painting and released a line of Ai-Petri-themed souvenirs at its gift shop. An exhibition is expected to follow later this spring.